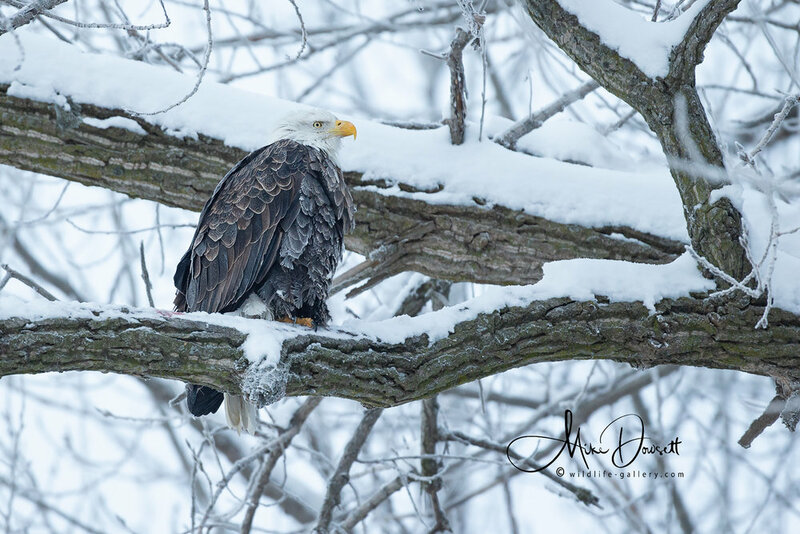 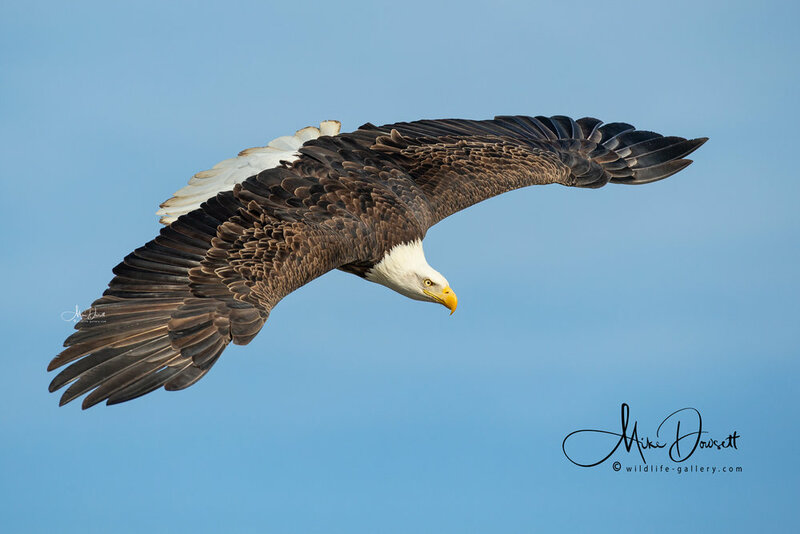 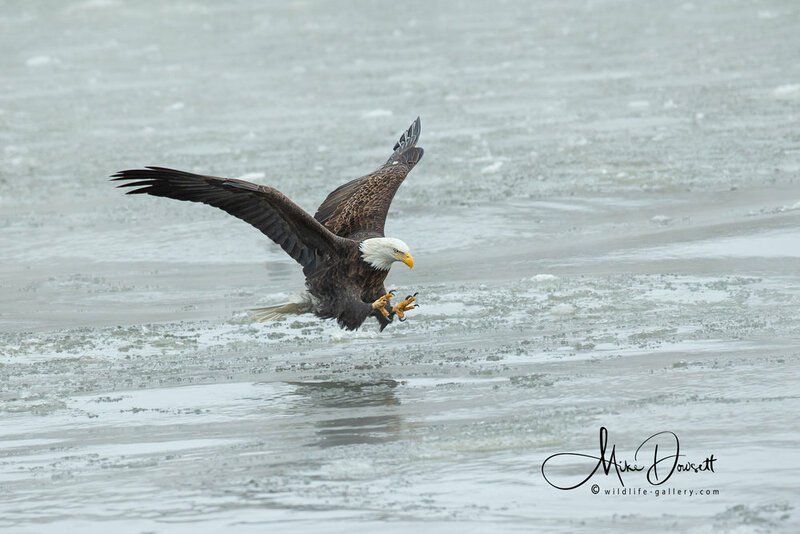 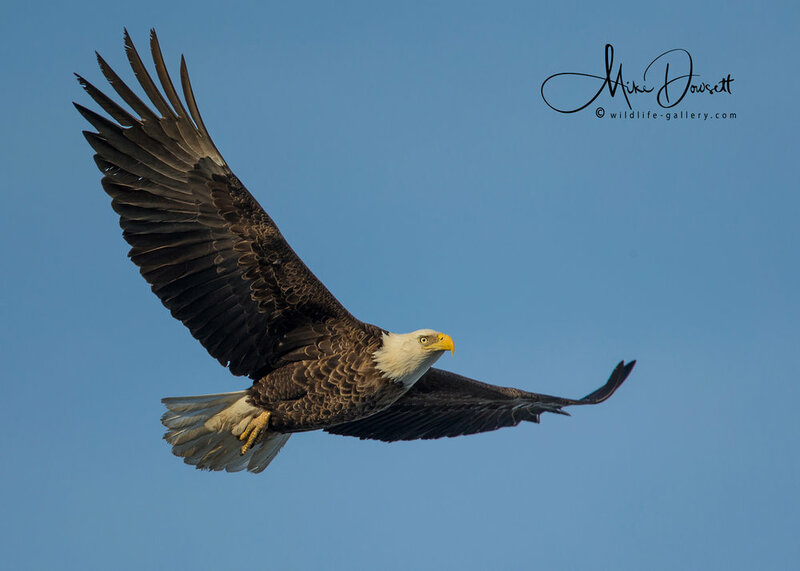 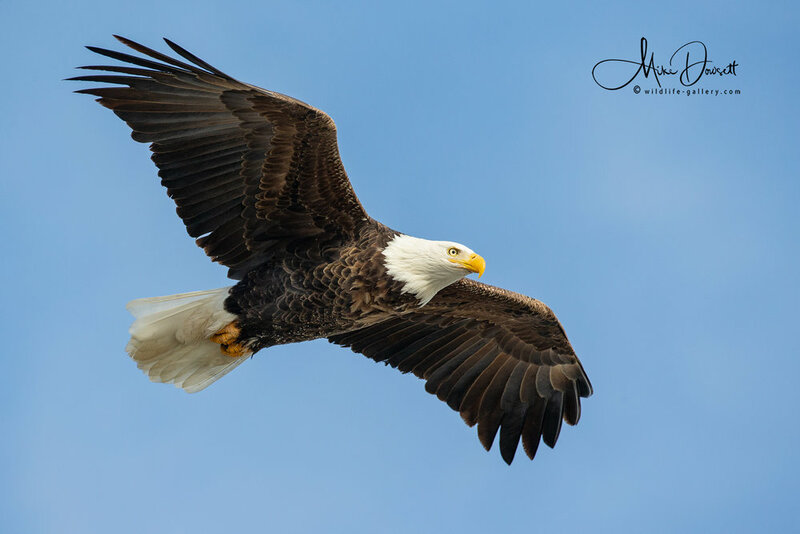 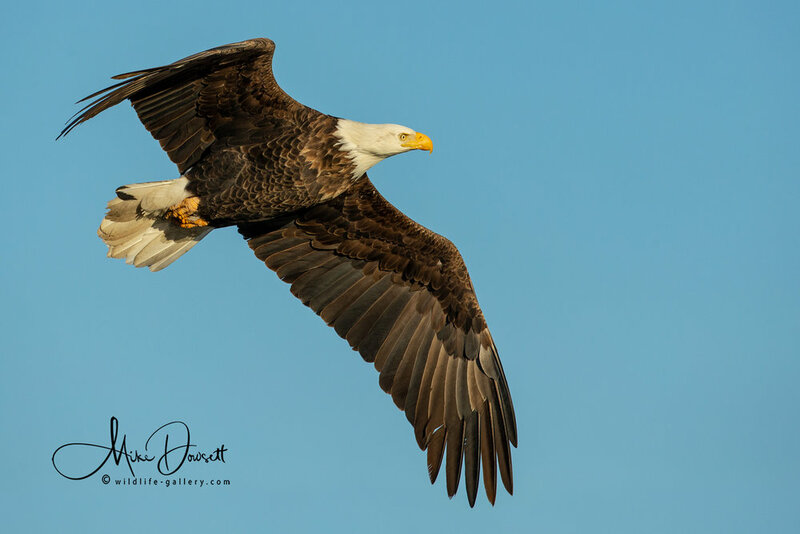 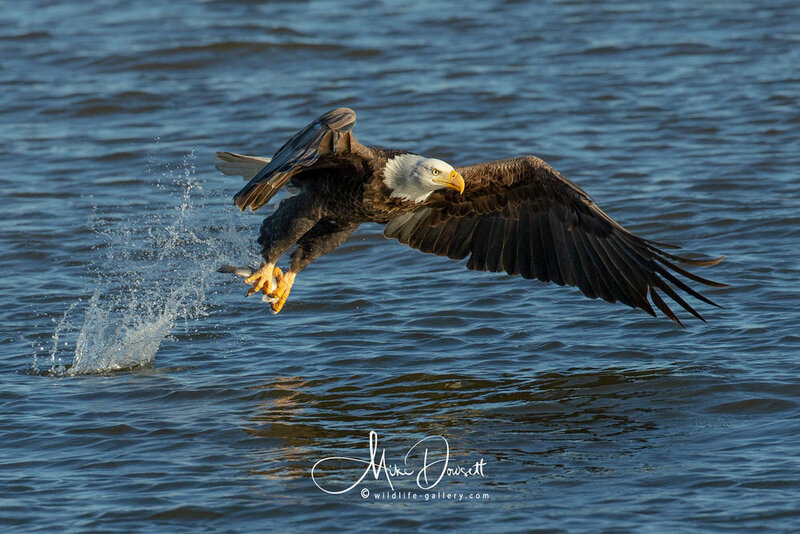 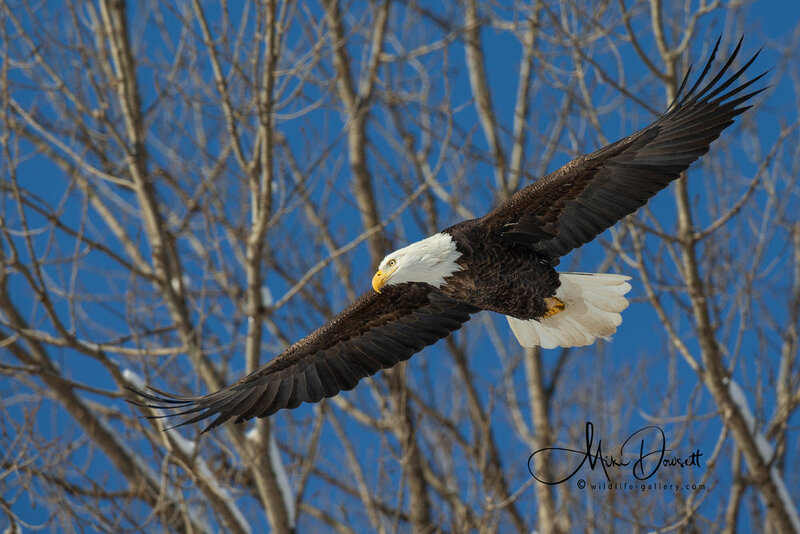 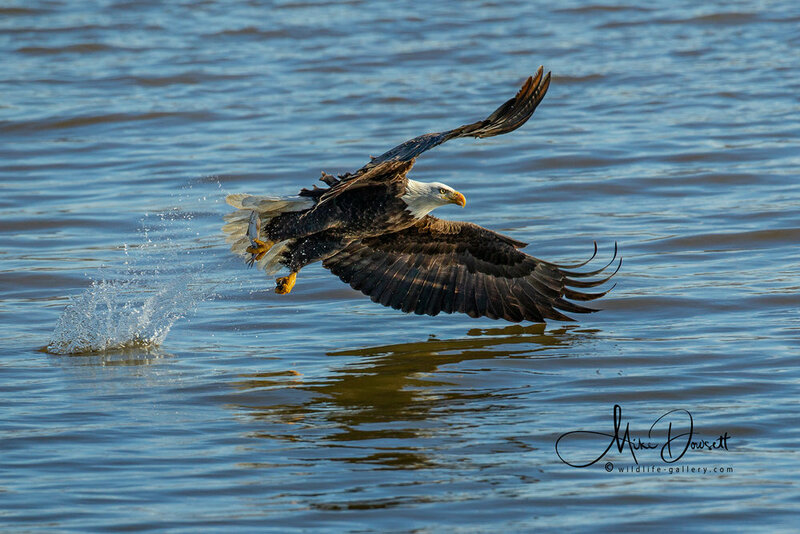 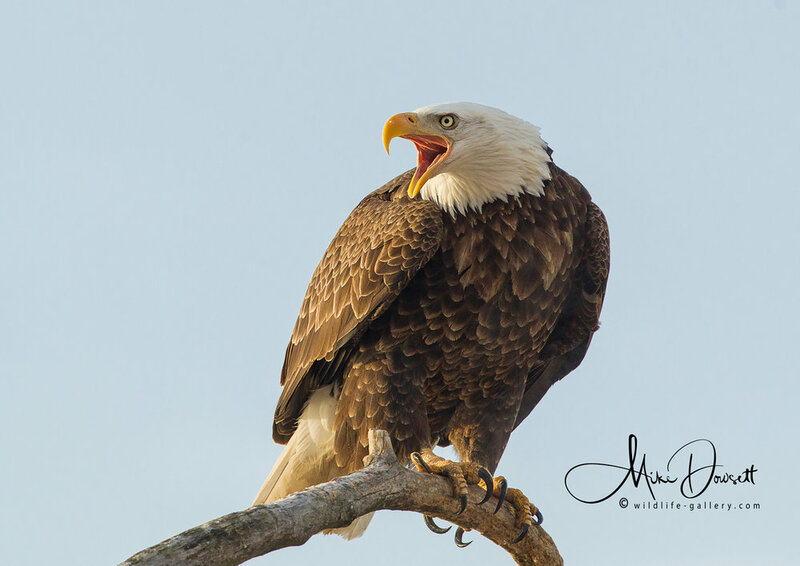 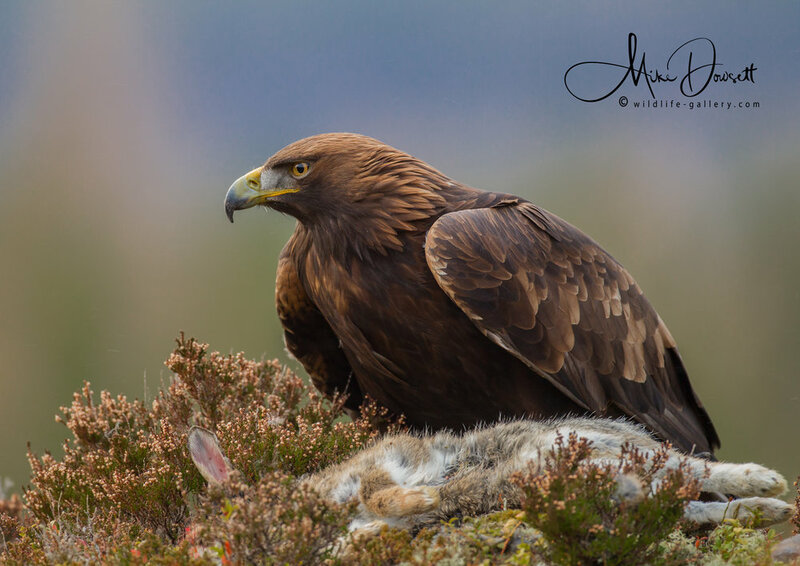 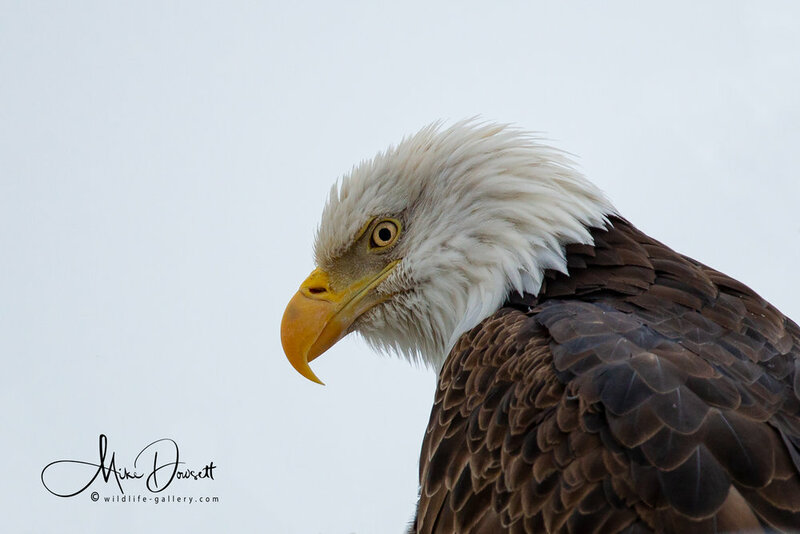 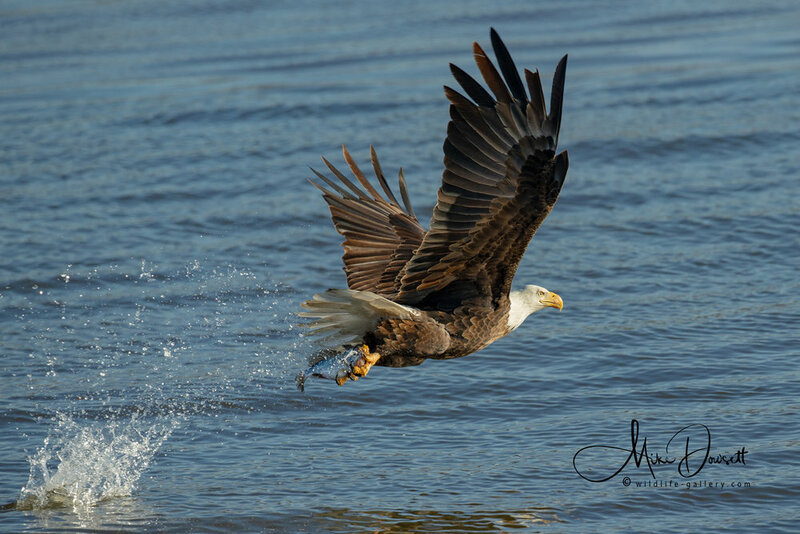 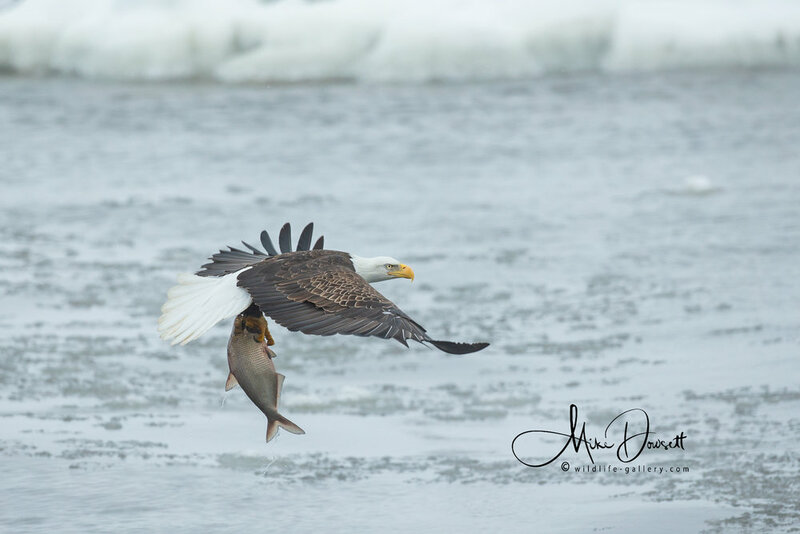 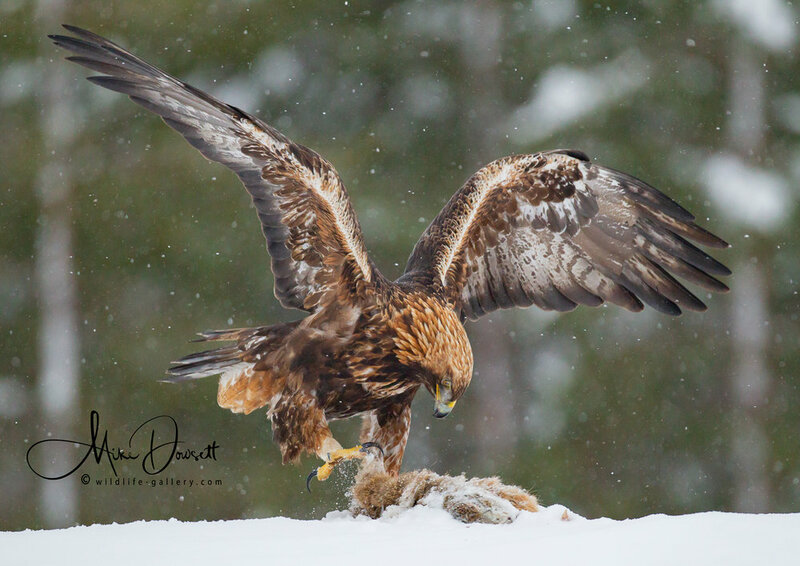 High Quality Photographs of Eagles are shown in the gallery below: Bald Eagle in flight, fishing, catching fish, diving and perched, with fish and calling. 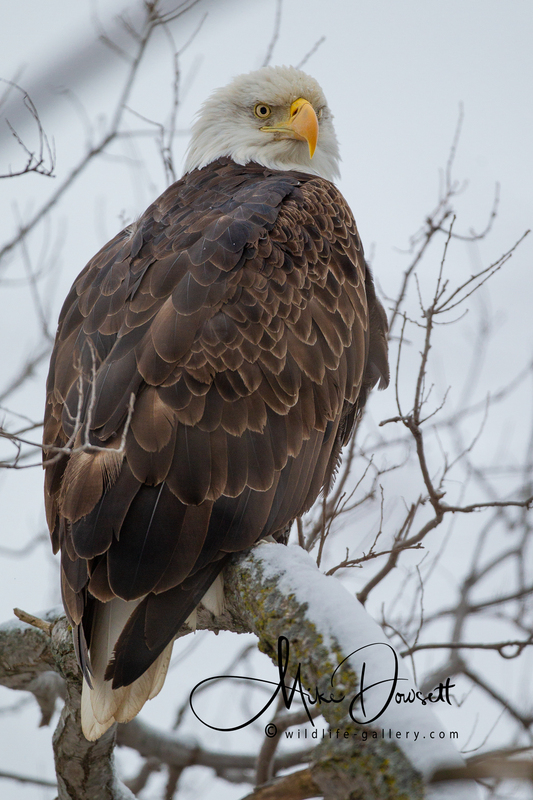 The Bald Eagle (Haliaeetus leucocephalus) is a very large raptor found in North America. 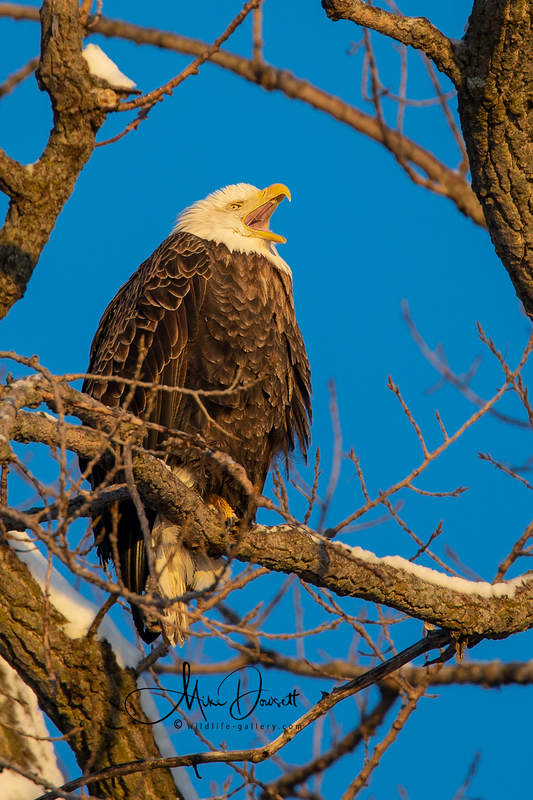 It is found near the ocean, large rivers or lakes with an abundant food supply and tall old-growth trees for building their nests. 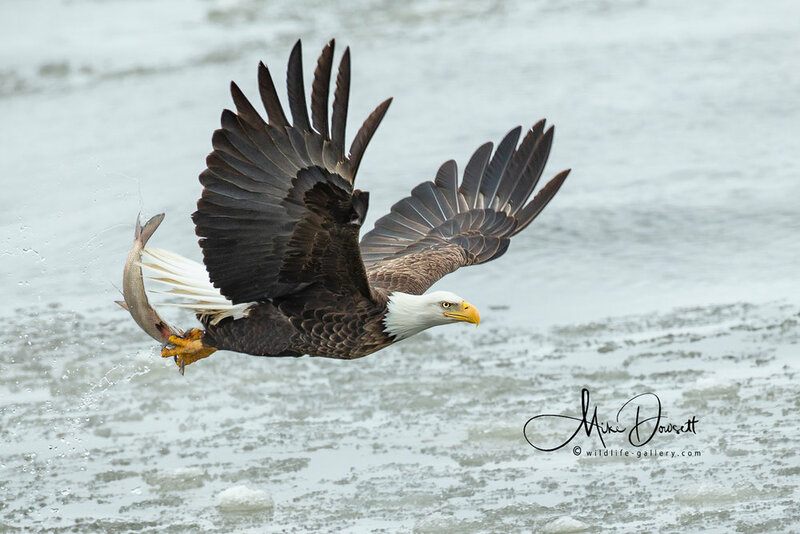 The bald eagle is a resourceful hunter which feeds primarily on fish. 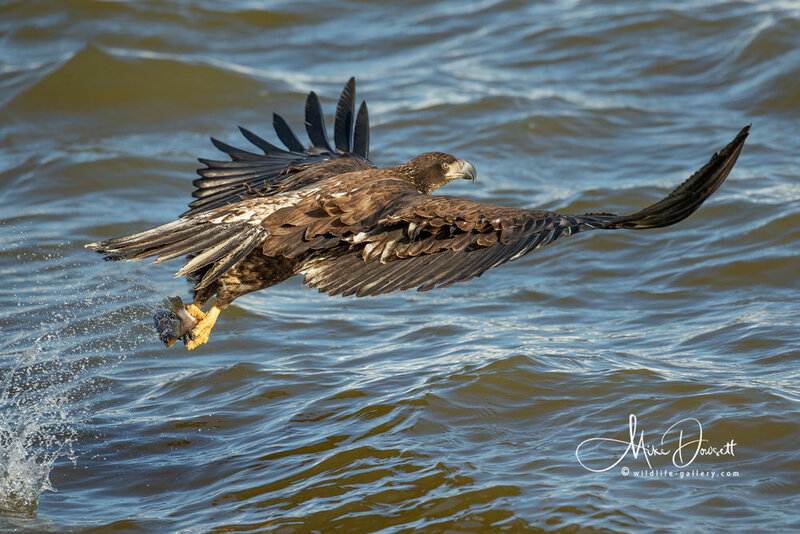 This large bird of prey swoops down and grasps fish (and ducks) from the water with its huge talons. 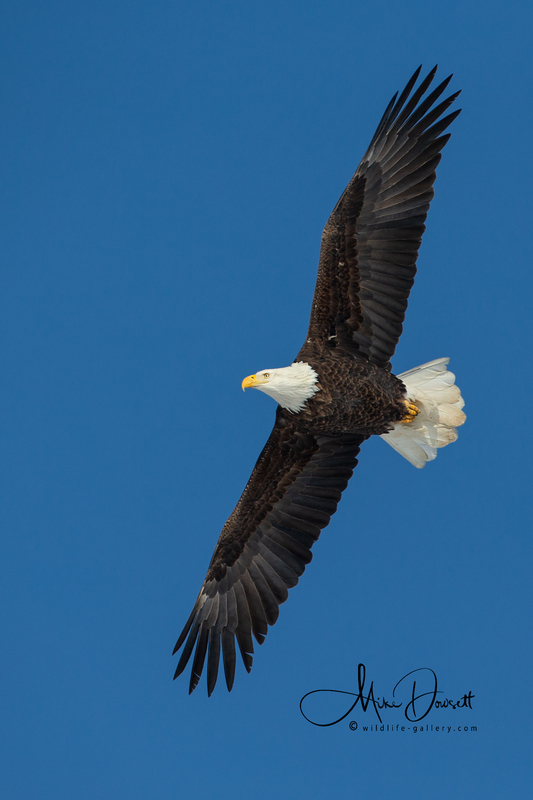 The Bald Eagle’s build a massive nest, the biggest nest of any North American bird. 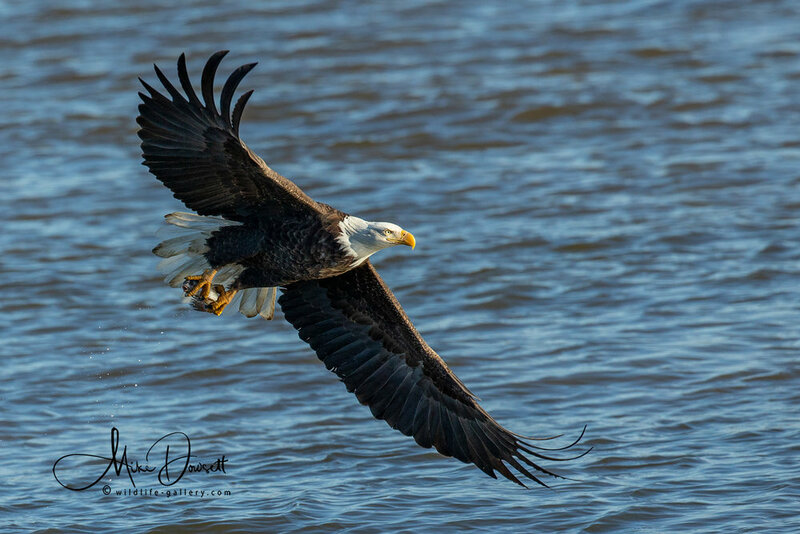 These can be up to 13ft deep, 8ft wide, and can weigh up a ton. 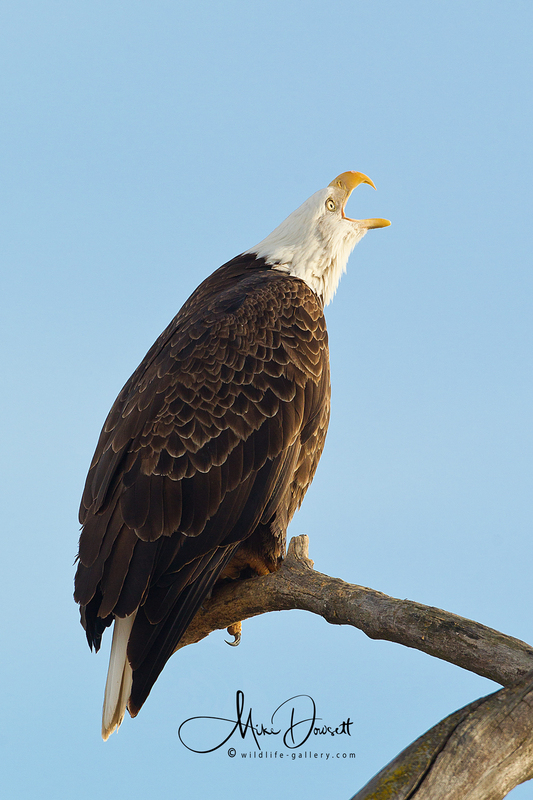 These majestic raptors become sexually mature at four or five years of age. 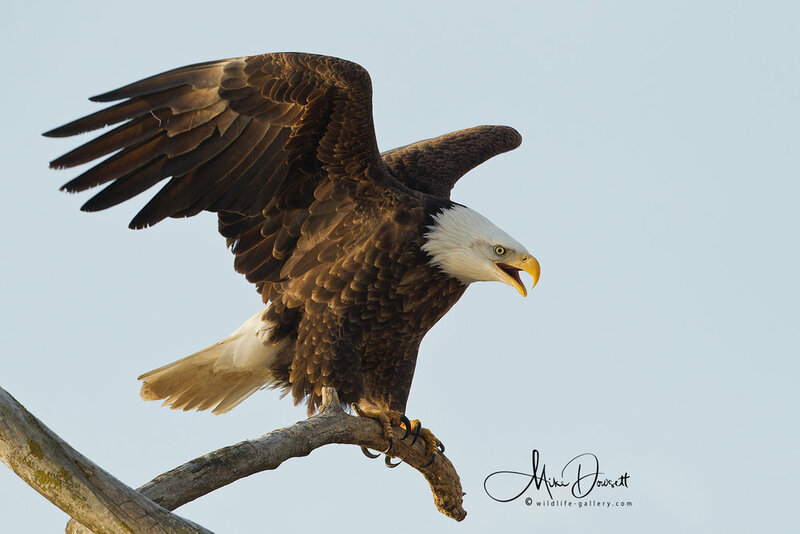 The plumage of an adult bald eagle is evenly dark brown with a white head and tail. 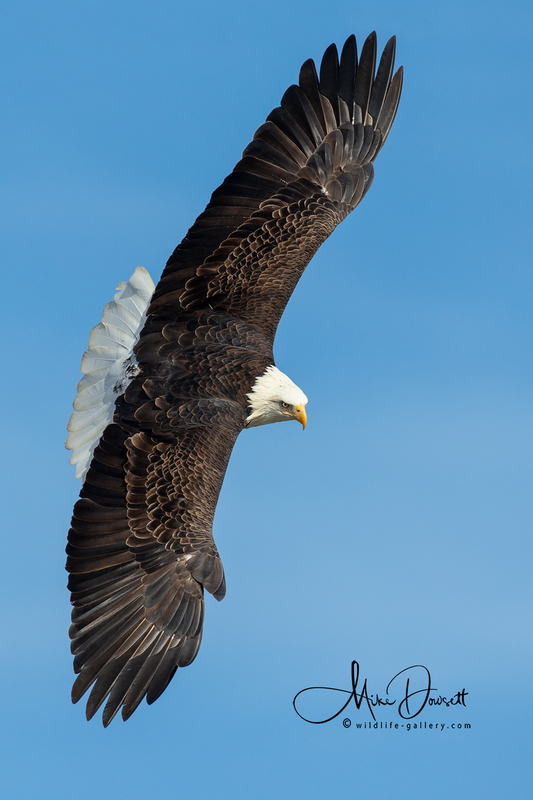 The tail is moderately long and slightly wedge-shaped. 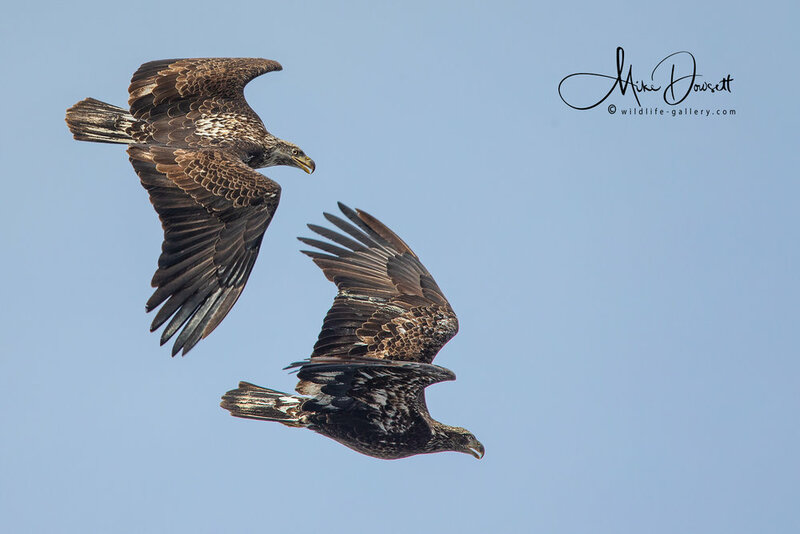 Males and females are visibly identical in feather coloration; however, females are 25% larger than males. 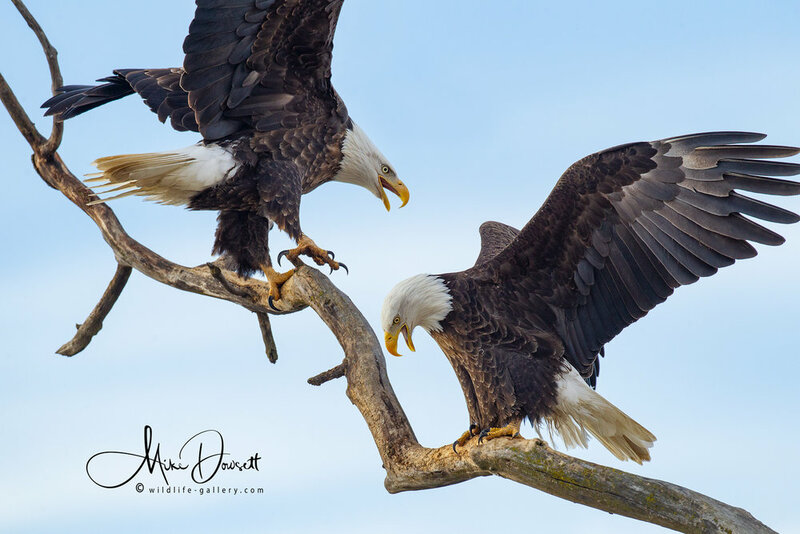 When side by side, the female beak is longer and thicker than the male. 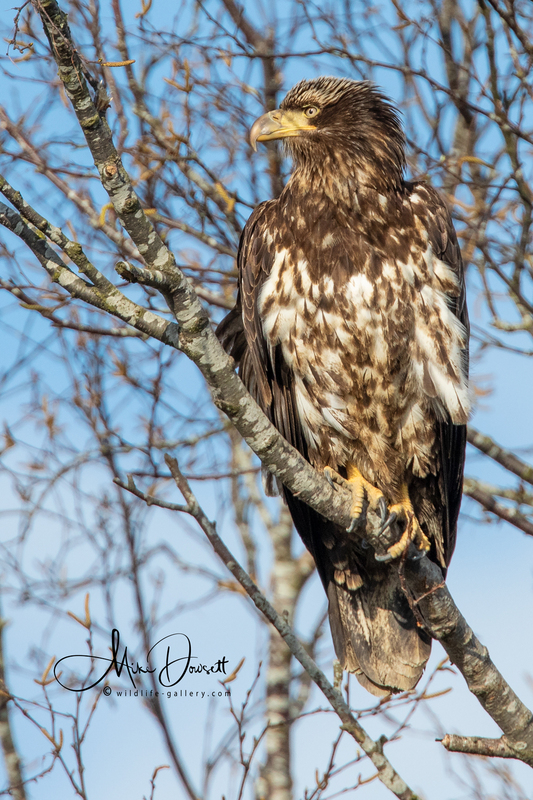 The beak, feet and eyes are yellow. 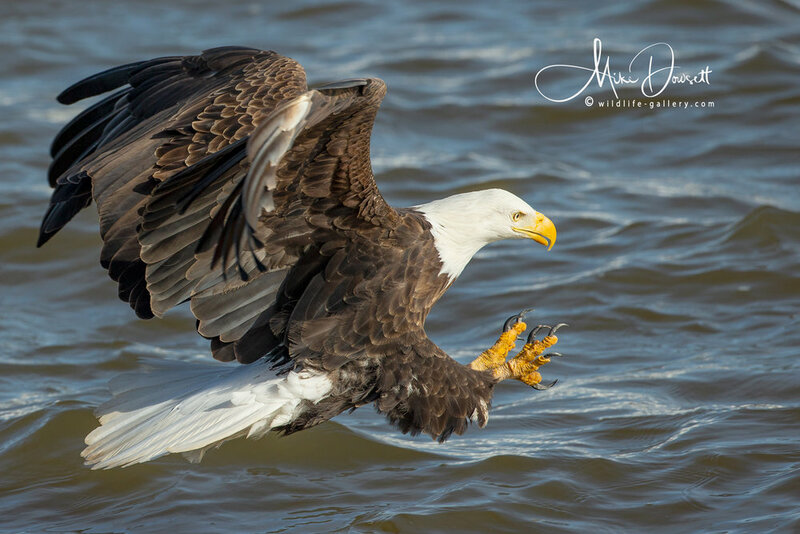 The legs are feather-free, and the toes are short and extremely powerful with large talons. 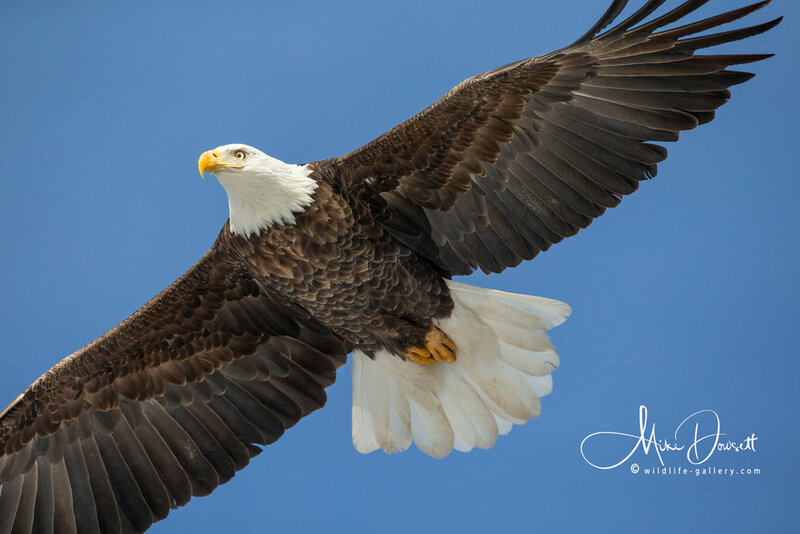 The Bald Eagle talons have ten times the gripping power of a human adult. 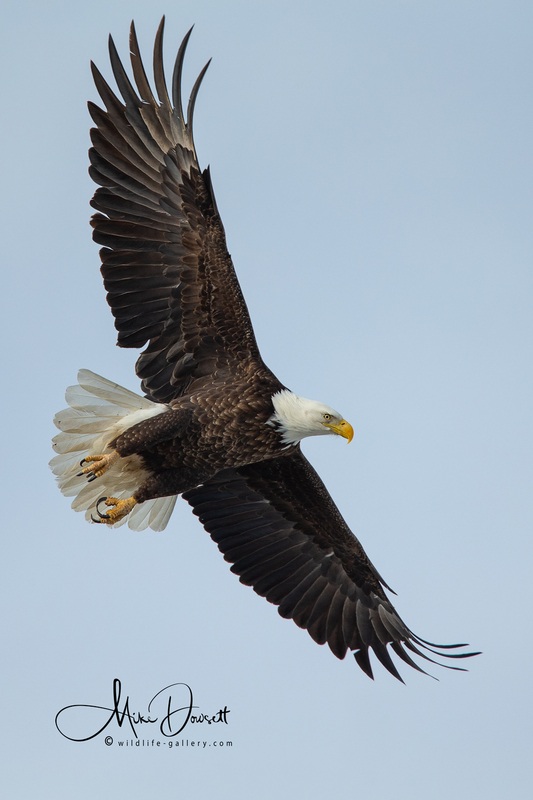 In 1995 the Bald Eagle was added to the list of threatened species in North America. 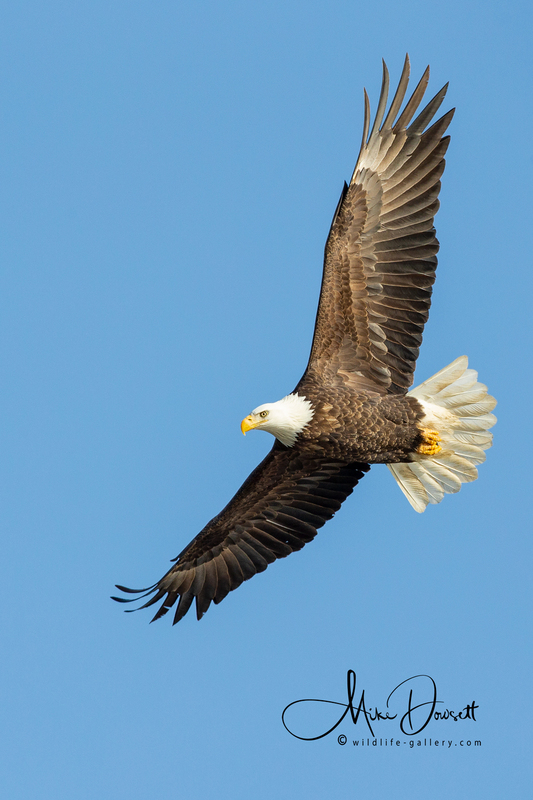 It was later removed from the list in June 2007. 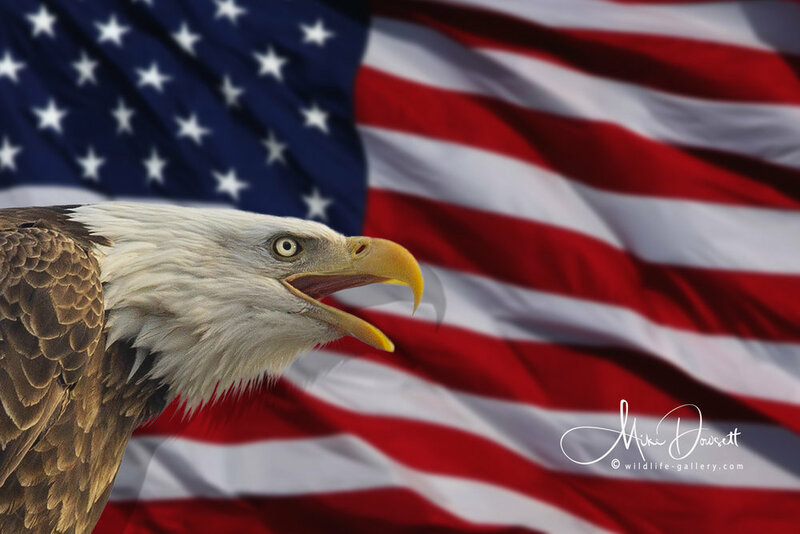 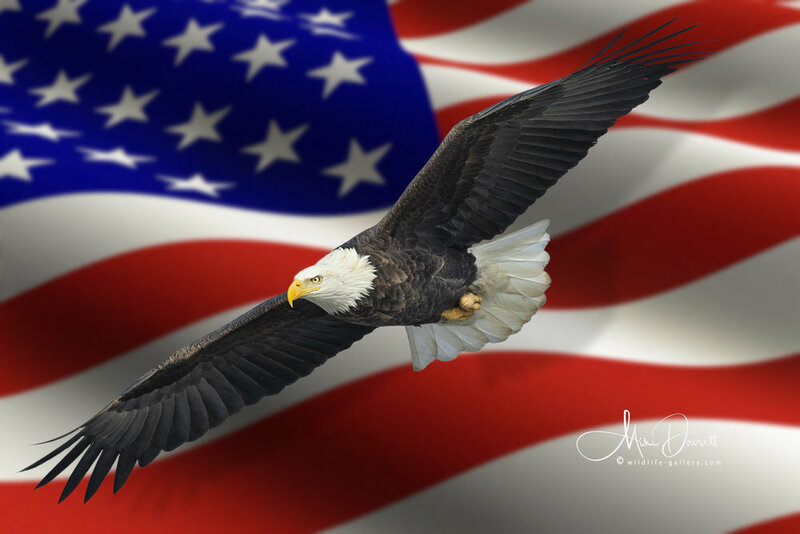 The Bald Eagle is both the national bird and national animal of the United States of America.